The Avener & Phoebe Killdeer, Logik Lee, Terranova and Crystal Symphony. 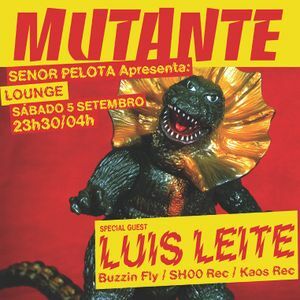 Mutante is the name the radio show is Portuguese National Radio Antena 3 Dance, but it&apos;s also a party happening monthly at Lounge Club in Lisbon, Portugal, hosted by Señor Pelota, an experienced dj who has been collecting, selecting and sharing records for 15 years. Guests are also expected. Here the music has no boundaries, no limitation of styles or time periods, from Kraut, Disco or Funk, 70s and 80s classics, to the House and Techno gems from the 90s until last week! Señor Pelota wants to tell a story about music in constant mutation, mutant music!